Looking for a way to fund your women's ministry conference? Would you love to have pieces of jewelry and merchandise that coincide with your vision/theme? Then look no further. 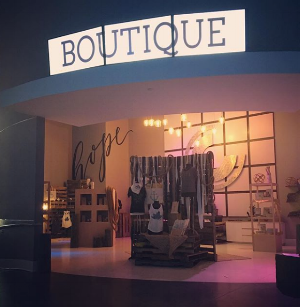 We want to help YOU grow the Kingdom of God by offering a boutique experience for you and your conference guests. Your personalized boutique can be as large or as small as you would like. You get an entire team with wholesale pricing merchandise to create an experience unlike any other. Love the convenience of a boutique coming to you? Want to make shopping fun with a group of friends? Enjoy earning free clothes and major discounts off of top boutique brands? Then hosting a "Private Event" either online or at your home with Saylah V. Boutiques makes all of the above POSSIBLE! Saylah V. Boutiques carries women's clothing, jewelry, and accessories all at an affordable price. Through the spring, summer, and fall - you may find us curbside at a fair, festival, or a public event. Saylah V. Boutiques has participated in a number of different "Pop-Ups" including: Girl Tribe Co., the STAX Guiness World Record Event, Mecklenburg Schools Fundraising, and so many more. We would love to come to a neighborhood near you!